Trade like the professionals with the BDSwiss Forex MetaTrader 4 platform. The industry leading platform allows you to trade with confidence and security. 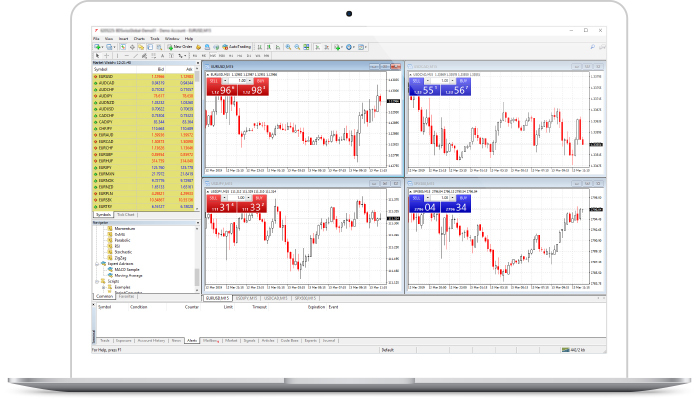 BDSwiss Forex MT4 has taken the MetaTrader MT4 platform (the industry leading front end platform) and optimized it with the BDSwiss’ advanced technology to create a user-friendly trading interface designed to support traders of all levels. The BDSwiss Forex MT4 platform is perfectly equipped for traders who wish to trade in the financial markets (forex, indices, commodities and more). All the necessary tools and resources needed to analyze price dynamics of financial instruments, make and edit trade transactions, create and use automated trading programs (Expert Advisors) are provided. This highly customizable platform allows traders to create a trading environment tailored to their preferences and trading strategies. In addition to the benefits mentioned above, there are many other features the platform offers such as different trade execution features, alerts and email notifications. Including account equity, floating profit and loss etc.